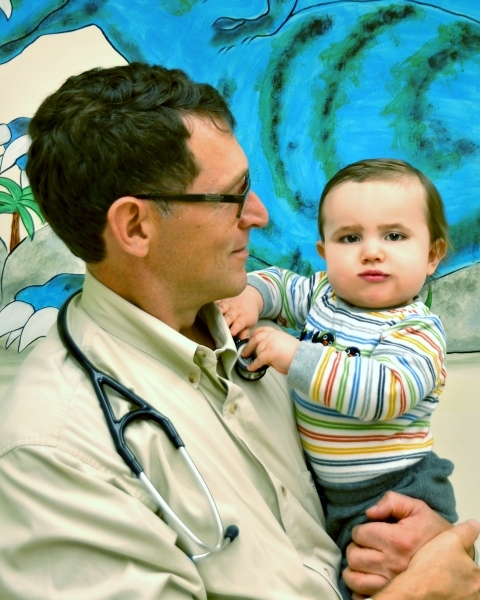 Pediatricians, nurses, and staff at both Lake Country Pediatrics S.C. locations in Delafield and Oconomowoc work directly with patients to instill mutual respect, trust, and familiarity. Patients are directly involved in their health-care decisions and participate in a partnership that closely connects the patient’s family and the medical team. The result is a more direct focus on the patient’s wellness and health. 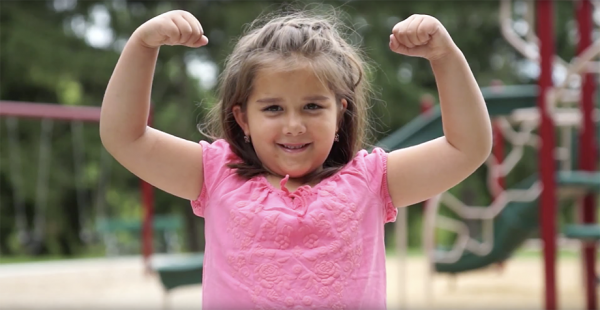 The Delafield Pediatrics™ Clinic works together with Lake Country Pediatrics S.C. to provide support and primary care for thousands of satisfied patients from Delafield, the Lake Country community, and beyond. Pediatricians Gregory Moyer, Kimberly Kastner, Danette Colella, and Justin Schilz work with nurse practitioners Nanette Palay and Jamie Harder to offer quality, patient-centered, holistic care each day. As the founder of Delafield Pediatrics™ Clinic, Dr. Mark Kamsler continues to be an influence at Delafield Pediatrics™ and is available for consultations to providers as well as patients. Dr. Kamsler opened Delafield Pediatrics™ Clinic in 1998 because he recognized the need for an independent clinic alternative to the large corporate clinic model. Both Dr. Moyer and Dr. Kamsler were driven to practice pediatrics without the overbearing, money-driven, large corporate entities that dictated patient care. Both doctors believed in the philosophy that patients and their families come first, regardless of the size of their pocketbooks. 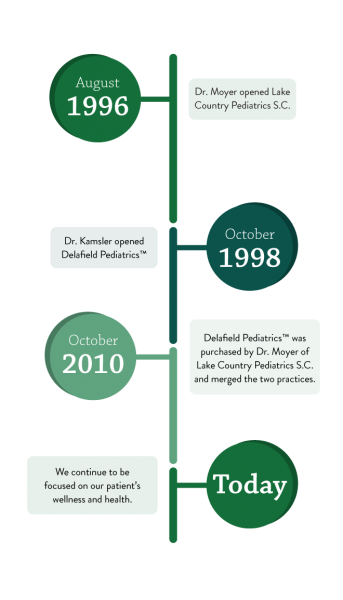 In October 1998 Dr. Kamsler opened Delafield Pediatrics™ Clinic. In October 2010 the Delafield Pediatrics™ Clinic was purchased by Dr. Moyer of Lake Country Pediatrics S.C., an established practice that had opened in August of 1996. The two practices merged to become Lake Country Pediatrics Delafield (Delafield Pediatrics™) and Lake Country Pediatrics Oconomowoc (Lake Country Pediatrics S.C.), and the two work seamlessly and equally together to provide quality holistic pediatric care. Dr. Mark Kamsler, MD, is board certified in Pediatrics and Anthroposophic Medicine, and Dr. Greg Moyer, MD, is board certified in Pediatrics. Call 262-646-2282 or visit us at the Delafield Pediatrics™ Clinic.